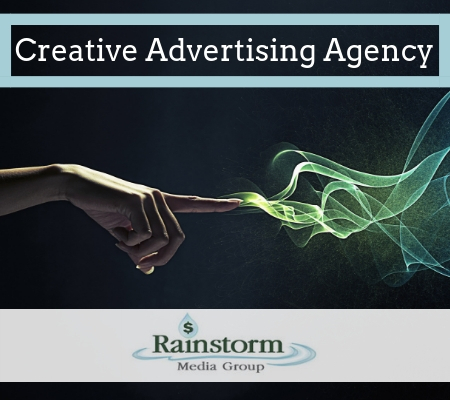 Rainstorm Media Group is a creative advertising agency specializing in radio, TV, print, social media, and digital marketing strategies and campaigns. Our experienced team uses their expertise to execute successful creative advertising for a range of clients across the nation. Our unique process is guided by a client-focused philosophy, and we spend time customizing each campaign to our clients’ individual needs. As a full-service creative advertising agency, we offer both content and strategy guidance to build your client following. We handle the content, design, and programming of your campaign, ensuring a high return on investment to your marketing budget. With years of experience in the industry, we can recommend a strategy to convert the right customers at the right time. We’ve found that using a blend of marketing services across multiple media platforms is the most effective way to convert customers. Consequently, we utilize FM radio, digital radio, TV, social media, and print to broadcast our strategic campaigns. Our creative advertising agency develops cross-sectional, unique, and effective messaging that works on a range of outlets. Network, local, and digital radio advertising are all central to many of our client’s campaigns. Rainstorm Media works with each account to design successful radio commercials that not only catch listeners’ attention but provide the right content to spark action. By utilizing web banners and other digital advertisements in conjunction with radio ads, we are able to effectively target the right demographic and produce real results for our clients. TV advertising is a complex endeavor. Our creative advertising agency uses television commercials alongside radio and digital marketing to produce highly-effective projects. We leverage our consumer insights from digital and radio marketing techniques before guiding our clients into a targeted TV campaign effort. We find that this brings the best ROI while refining brand identity. Digital, or online marketing, is one of the fastest growing and most effective ways to gain customers. When used in combination with radio campaigns, it’s extremely effective. The best creative advertising agencies are constantly pushing the limits on engaging and contemporary marketing content. At Rainstorm Media Group, we pay close attention to digital marketing trends and propose techniques that are appropriate for the key demographic. From ad buys to digital banners, we provide fully-rendered campaign concepts and deployment plans with a targeted audience in mind. Influencer advertising, paid ads, blog posts, and promoted posts are all excellent ways to increase brand awareness and promote offers on social media outlets. As an experienced creative advertising agency, we devise and execute engaging social media campaigns for a range of audiences across the nation. Whether you’re looking to reach millennials or a retirement-age demographic, we’ll work with you to deploy a campaign that gets in front of the right set of eyes. As a creative advertising agency, our approach is guided by a unique philosophy. We’ve developed this process over decades of working with clients across a range of platforms. We start with discovery, discuss intent, devise a budget, plan your campaign, track return on investment, make adjustments, and scale your project. This comprehensive method not only allows us to create effective projects but makes sure that our clients don’t lose money in the process. Contact us today to learn how Rainstorm Media Group can help expand your business.